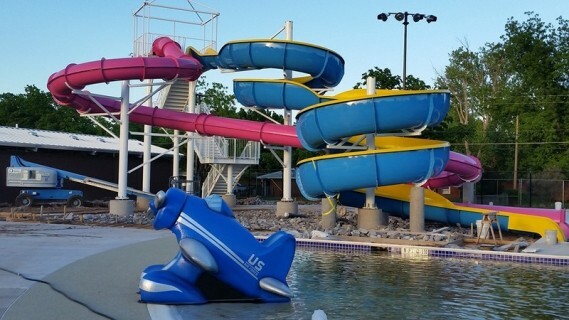 Boomtown Bay Family Aquatic Center is Burkburnett's newest family fun destination. During our operating season, our regular hours of operation are Monday-Saturday 12:00 pm to 6:00 pm and Sunday 1:00 pm to 6:00 pm. Welcome to the finest golf facility in North Texas, the River Creek Park Golf Course. We are situated just north of Wichita Falls in America's heartland plains along the beautiful Red River. Since 1976 we've been providing exceptional service for the area's golf enthusiasts. Make your next golf experience perfect at River Creek Park Golf Club. River Creek Park Golf Club offers an 18-hole championship golf course with four sets of tees and outstanding practice facilities. Our golf shop is modern and fully stocked with all of the latest golf equipment. Whether you’re hosting a weekly foursome or your organization's annual golf outing, River Creek Park Golf Course is here to meet your personal requests. The little MK&T Depot that sits near the railroad tracks in Burkburnett is within a few yards from where it sat originally when it first came into being in the early 1900's. It served travelers to and from Burkburnett from its conception, through the oil boom and after. The depot served those seeking work in the oil fields of early Burkburnett and it brought in oil field equipment from all over the United States to satisfy the needs of the nation's fastest growing oil field "boom town". Before the oil boom, the depot served the farmers well. In 1916 the Burkburnett Depot shipped out 120 boxcars of corn. It 1918, it happened to be located at the right place at the right time. The oil boom had just begun and the railroad, already in place brought in workers, fortune seekers, men and women, all looking to make a living in oil or oil related businesses. In 1919, a second depot had to be constructed to handle all of the passengers and freight. Everything from bourbon to bull-wheels to people by the carload came at a cost of 45 cents per ticket into town on the railroad. Truly the early development of any new town such as Burkburnett owes its early beginning to the railroad, the railroad was the lifeline of any early frontier town. Our depot is now but a symbol or representation of what was during the infancy of Burkburnett. It stands as a reminder of what it was, how it was and more importantly the determination of those who came before us to nurture and develop a brand new town and set it on the right path of growth. Bring your blanket or your lawn chair and just relax while watching a family movie under the stars at the United Friendship Amphitheatre. Every year from June to October the City of Burkburnett Park’s Department hosts movies in the park for a safe family fun activity. You can bring your own snacks or purchase popcorn and soft drinks at the park. Shows start at dusk. For more information, call City Hall at 940.569.2263. Burkburnett offers some of the best bird and deer hunting in the area. The City is proud to host a number of hunters throughout the year. Bring your spouse along to shop and enjoy Burkburnett while you spend time at your lease. The Red River Riding Association hosts the Boomtown Rodeo every year in July. It’s a great time to watch cowboys and cowgirls compete in a traditional rodeo featuring a full slate of events. A Rodeo Parade takes place in downtown Burkburnett and the evening rodeos are followed by live music. For more information, visit the Red River Riding Association’s website at: www.redriverridingassoc.org. From our United Friendship Amphitheatre to our beautiful ponds, the City of Burkburnett offers six different parks for outdoor enthusiasts. For more information, call City Hall at 940.569.2263. The City of Burkburnett owns and operates its own public swimming pool. The municipal pool is open to the public and allows for private parties. For more information, call City Hall at 940.569.2263.